This past fall, while watching the costume contest at Grand Rapids Comic Con, I was weary. I was sitting up front near stage left, so that I could get a glimpse of the incredible costumes as they exited the stage. However, as you know if you have seen a costume contest, they take a while. 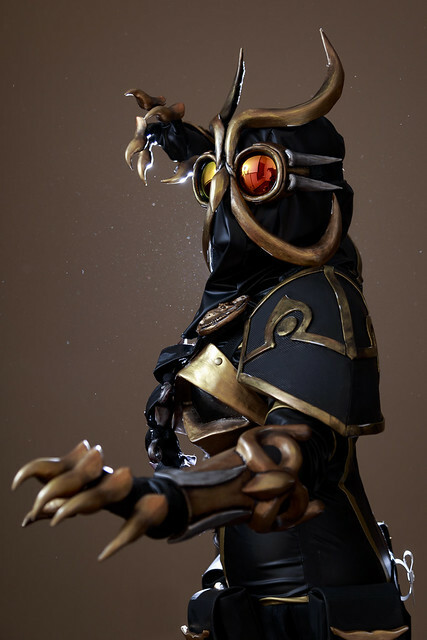 So I couldn't quite wrap my head around this magnificent creature - with enormous eyes, beautiful gold armor, and enormous talons - asking me if the seat next to me was taken. One chair was, but another was open, and she perched on the edge, so that her costume could fit around the chair. Well, after that, ditch watching the contest. I kept peeking sideways to marvel at her artistry, her creative talent with armor, and even her posture. She completely embodied her character, was very kind to fans, and was funny, to boot. Not surprisingly, she won Best in Show (!!!!!!) with her cosplay of DC comic’s Court of Owls villain, Talon (Batman, The New 52). Months and many emails later, we are So pleased to share the extraordinary art and creativity of Ashlee Forde, of Disfusional Studios. Hailing from Southeast Michigan, Disfusional Studios’ lead designer and fabricator, Ashlee Forde, has been creating and showing her artwork since 2005. After receiving a Bachelor’s Degree in Art and Design, Ashlee has applied her traditional artistic background to costume and prop design. At the 2012 Michigan Renaissance Festival, her World of Warcraft based headpiece and cosplay garnered high praise from contest judges and was an obvious crowd favorite. 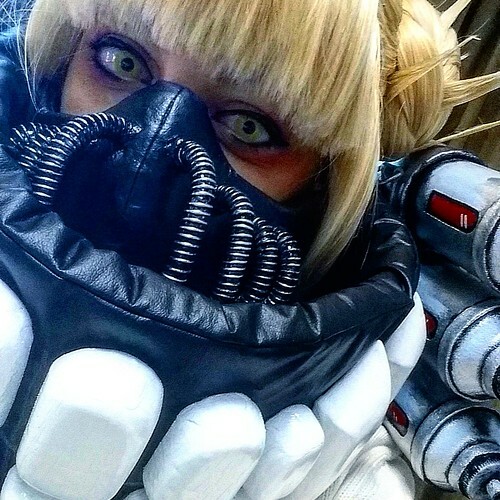 Since 2016, under the direction of Forde, Disfusional Studios has won many cosplay ‘Best in Show’ and craftsmanship titles around the Great Lakes region. Her attention to detail and advanced sewing and fabrication techniques have allowed her creations to stand in the spotlight again and again. 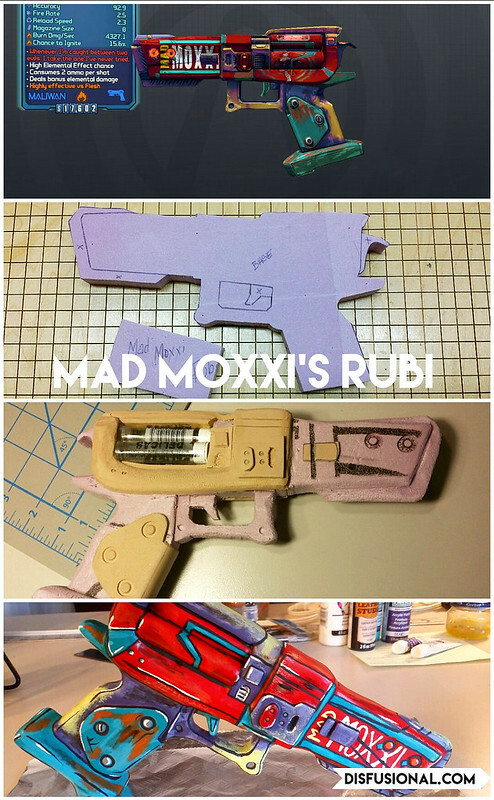 To further her commitment to the craft and culture, she shares build guides, fabrication techniques, tutorials, and general advice and information to whomever asks. As a former educator, Forde imparts wisdom on anyone who shows interest in her creations. I cannot remember a time that I haven’t been passionate about drawing, but as for how ‘long’ I have been an ‘artist’; one could say roughly 12 years. However, I did not take my first art class until my senior year in high school. I found myself in this mandatory elective that slowly turned into a passion, and then developed further into a career. After high school, I ended up completing my undergraduate with a BA in Art and Design. Art has become my ‘career’ in many ways. Through a variety of different mediums, I have taught various forms of art at almost every level of instruction. I have worked off of commissions where clients have been interested in anything from a traditional oil painting to an elaborate costume or welded sculpture. However, I would say that ‘Creating’ is my full-time career. I have been working from my home based studio since Spring of 2012. It is a large space filled with stocked cabinets and tubs of fabric. You need to think of me more as a wizard hidden away in their tower. Actually my favorite place to create is in my personal studio. I prefer my isolated solitude!! There is no such thing as a ‘typical/normal” day in my life. I wake up and great ready, make some green tea, and start-up the computer(s)/3D printer etc. My ravenous little house-panda insists upon attention and food. Depending on my day, I may stream what I am doing at my workbench, or merely work and photograph progress alongside. Disfusional Studios Mad Moxxi progress picture. Here is just some of the hand sewn details that went into the tailoring of Mad Moxxi’s jacket. I am adept in various art materials and regularly work with other, more non-conventional types of mediums to create what I envision, however, I actually do not have a preferred medium. This versatility keeps my skills sharp, and as a bonus, I never get bored. I pride myself on my knowledge and skill level with various artistic avenues. From graphic design, to painting, to fabrication; I have and do dabble in it all! Disfusional Studios Rubi progress picture. 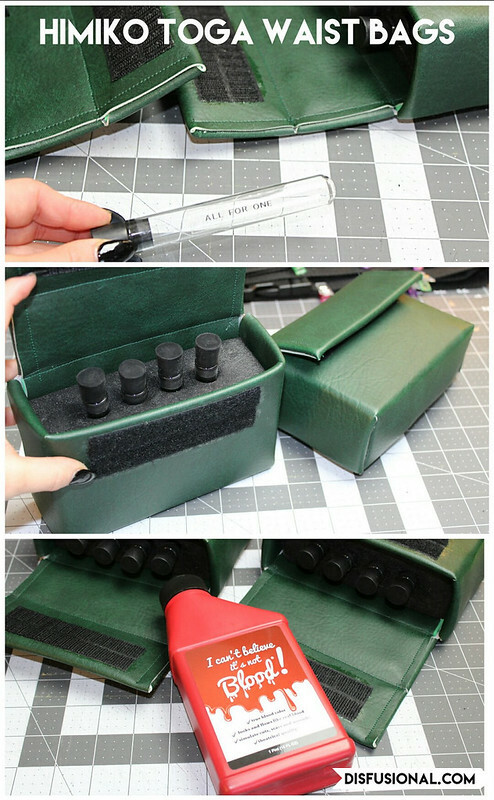 Using simple materials around the studio, you can easily put together a simple prop with a killer paint job. For an artist like myself, inspiration comes from everything around me. I am inspired by fellow artists, creators, photographers, and anyone else working hard at their craft. Observing high skill levels only pushes me to amp up my own projects/levels. I also get a lot of my inspiration from content like anime, manga, comics, movies, video games, etc. Before I create ANYTHING I sketch it out. Whether it is a sculpture or a year long costume. Everything gets mocked up via multiple drawings. By sketching things out I am able to view design errors and problem solve the materials/hardware before I hit roadblocks. I tend to know when a costume is finished; due to every piece being completed. The same thing goes for paintings, metal sculptures, graphic design, murals… Once the project has lifted up off my pages; I consider it done. As an Artist, you never want to over-work a piece. My schedule does not permit me to only work on one project at a time. Certain conventions need particular costumes, and I try not wear the same costume too many times. This means I never have enough mannequins for the projects, my only complaint. Sometimes I spend time on site (mural painting) and then come home, only to continue crafting on something personal. Running multiple projects is a necessity in my world. Disfusional Studios as Himiko Toga from Boku no Hero Academia (anime). Disfusional Studios, Himiko Toga progress picture. Toga’s blood samples didn’t seem complete until they were labeled with both villains and heroes. Disfusional Studios, Himiko Toga progress picture. 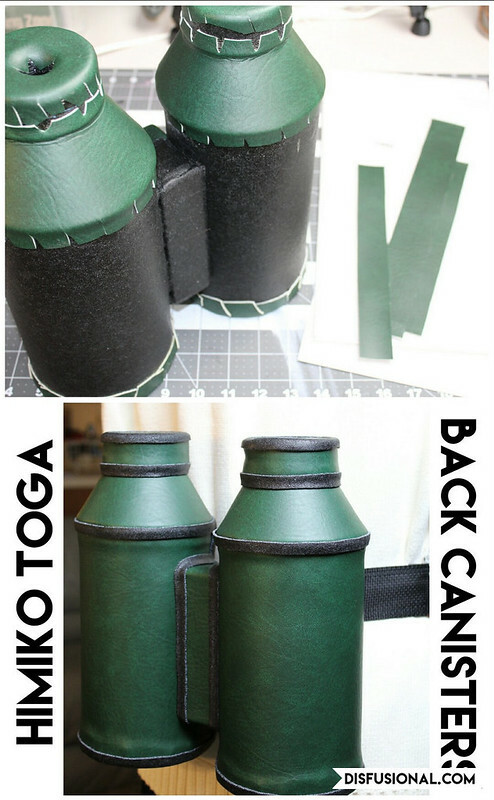 Here is a glimpse at the process it took to put together Toga’s back canisters. If I was not creating art on my own time, I would go back to teaching. There is something satisfying about passing on my artistic knowledge/tips/tricks. However, if I was not creating, I would have gone into a different field of study altogether. I do have a passion for web-design. If you are looking for something custom; be it costume, prop, painting, etc., please do not hesitate to contact me. Besides pictures of my CAT?!?! In all honesty, if you are you looking for a professional, respectable, and skilled photographer? 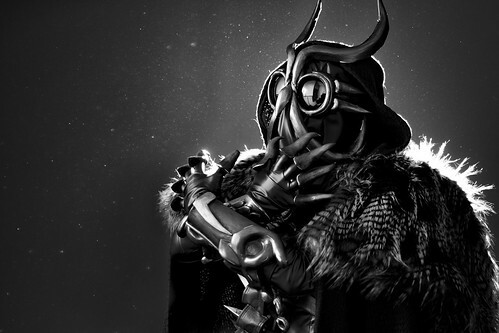 Are you looking for a photographer that is knowledgeable about ‘cosplay’ photography? Metro Detroit’s own photographer, Shawn M. Scott, is the the guy to get in contact with. Over the past year, we have collaborated on some stellar projects. We already have some more adventures slated in the books for this year. All photos courtesy and copyright Disfusional Studios, except where noted.